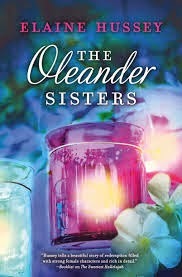 My latest novel, The Oleander Sisters, follows in the footsteps of The Sweetest Hallelujah in plumbing the depths of friendship to find the perfect story. I am blessed to enjoy the sisterhood of fabulous friends who give me love and loyalty, no matter what the circumstances. I can be at my very worst, and still these friends are staunch. Many of them are fellow writers: Debra Webb, Vicki Hinze, Donna Fletcher, Kathy Carmichael, Cindy Gerard, Regan Black and Rita Herron. Some of them go all the way to my childhood, Jane Talbert and Johnie Sue Long. Alice Virginia Daniel shares my love of music and sits at my side every Sunday in the church choir. And that’s just the top of the heap. Many amazing women have passed through my life, including my mama, who was such a colorful, independent, feisty woman I can still call up her voice and transplant it directly into the likes of Sweet Mama and Beulah. Through the years, my favorite theme has been the courage and resilience of women. You saw it thread through The Sweetest Hallelujah, and you’ll find it again in The Oleander Sisters. Yes, I have sisters. Two of them, one older, one younger. And they are wonderful, supportive, amazing women. I tapped into my relationship with them to create Sis and Emily. But more than that, I tapped into my memories of long-held friendships to recount the many ways women bond together through tragedy as well as happiness. You can see me talk more about this subject in The Oleander Sisters in a video on my website at www.elainehussey.com. In honor of the sisterhood of women, I’m giving away two digital copies of The Oleander Sisters to two lucky people of who leave comments. Amy, thanks for having me as your guest. 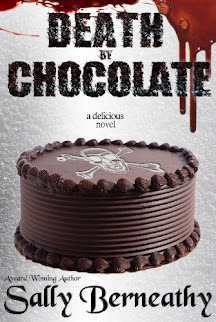 If your readers have any questions, I'd love to answer them. Thank you, Carol. Beautifully said! Sometimes true friends are sitting over in the alto section of the choir!